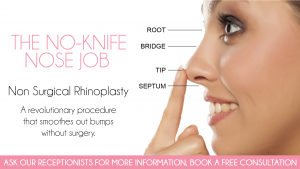 What is a no knife nose job? Rather than going under the knife you can get a quick instant fix if a small notch or ridge in your nose is causing you some upset. 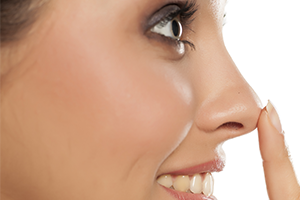 Injecting dermal filler into the face to make a smoother line from base to tip will cause the nose to look smaller. Depending on the filler it could be from 6-24 months. Why come to Swiss Care? We have GMC registered doctors that have the best training with high innovative techniques. The treatment works alot better with people that have a slight issue such as a crooked nose, hook shaped nose that needs straightening, mild bump, drooping nasal tip and many more speak to our doctors to see if this is for you? Filler gives instant, visible and long lasting results. The treatment takes around 30 min and it is not uncomfortable. How long until I can go out? You will experience slight redness post treatment which can be covered with makeup.